Rear-Commodore of the Alde­burgh Yacht Club. 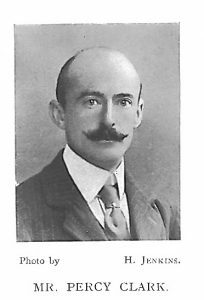 He was born in 1857, educated at Harrow and Trinity College, Cambridge, and commenced yachting in 1894 with the Aldeburgh Bun. In 1896 Aldous of Brightlingsea built for him the Sea Bird, and in 1900 Robertson of Woodbridge built him the 12-ton barge-yacht the Viking, now the property of His Majesty the King of Portugal. In 1903 he bought a 6-ton yacht, built by Howard of Maldon, which he called Fubbs. He has cruised on, and is familiar with, the East Coast from Aldeburgh to the Medway, and has been Rear-Commodore of the Alde­burgh Yacht Club from its foundation in 1898. Clubs: Royal Harwich, Aldeburgh Yacht Club.